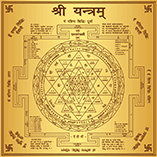 Navgrah Shanti Yantra nullifies all the ill effects of the nine planets and instead bestows the beneficial effects. 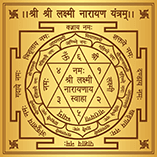 Navgrah Shanti Yantra symbolises the nine planets and helps in attaining wealth and prosperity through them. This Yantra increases the magnificent positive power of these planets leading you towards happiness, success and harmony in life. As the name suggest, Vyapar Vriddhi Yantra is kept to achieve new heights and dimensions in the business. What are the Benefits of taking Yantras from mPanchang? Happiness, Success, Financial Growth and Peace are established when Yantras are placed in an individual’s life. Yantras are conceptualized very precisely for various uses and they should only be taken with the authenticity which is provided by mPanchang. All our Yantras are processed by renowned Experts and Astrologers leaving you with no side-effect. Best quality Yantras made with ultra-precision. They are attuned, energized and shaped to provide the best results to an individual. Based on your personal issues and problems, this is a one-stop shop where you get all the desired Yantras in an instant. To get more clarity about any Yantra, you can get in touch with our Astrologers on Call and Live Chat for FREE. As the name suggests, Vyapar Vridhi Yantra is kept to achieve new heights and dimensions in the business. Navgrah Shanti Yantra was all I needed in my life! What a change it has brought in my life, words can fall short. 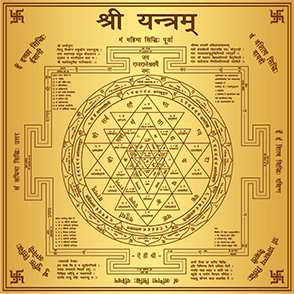 Thank you mPanchang for suggesting me this amazing and magical Yantra. Kudos!